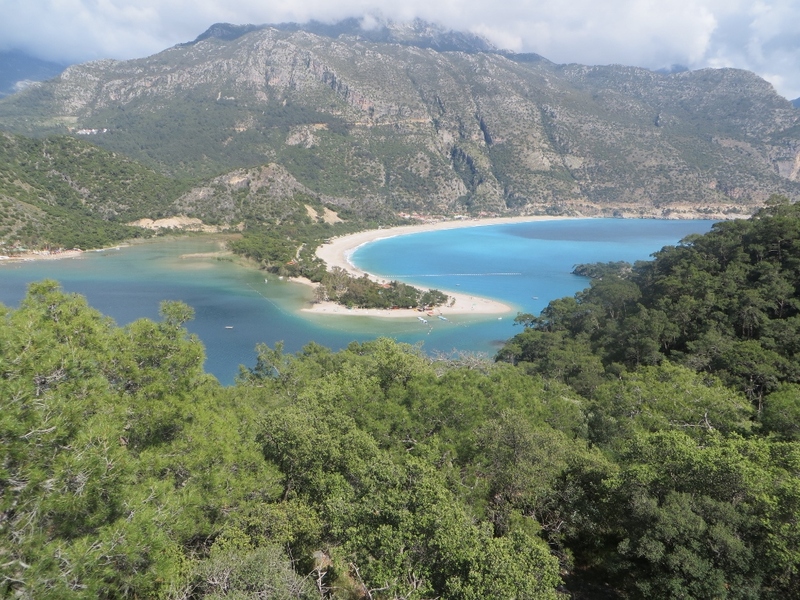 Leaving behind our beach camp and the crystal clear waters of Oludeniz, we headed up over the mountains and to the 300m deep and 18km long Saklikent (or “hidden city” in Turkish) gorge. Being early spring the river running through was still quite cold, however a few of the passengers waded across and walked deeper into the gorge. The rest of us (the tropical ones… or sensible ones) stayed dry and enjoyed the beautiful views from the walkways and platforms. We travelled through the pine forests and again returned to the coast and our home for the next two nights- Bayrams Treehouses in Olympus. With the bangles playing on the radio we took a night drive then a short walk to the eternal flames called the Chimaera- a monster with the head of a lion, body of a goat, and tail of a serpent who roamed the woods and sprouted fire from her mouth. These natural gas flames create the perfect setting to enjoy the stars and to toast marshmallows. A free day saw some choose to go kayaking and snorkelling and visit the nearby ruins and others to laze on the beach. Heading inland we had one bushcamp en-route to the Cappadocia region. The Anatolya and Cappadocia region is where the first Christians hid to escape the Roman soldiers. Ihlara Valley is a 16km volcanic rock gorge and is believed to be the first settlement of the escaping Christians. We took a 2hr walk through the valley visiting some of the hundreds of rock churches, many with frescos still intact. We continued on to the tourist centre of Cappadocia-Goreme. Kaya camping perched on the hill overlooking the red valley was the perfect base for the next 4 nights. With so much to do and see we had quite a busy schedule for the next few days. 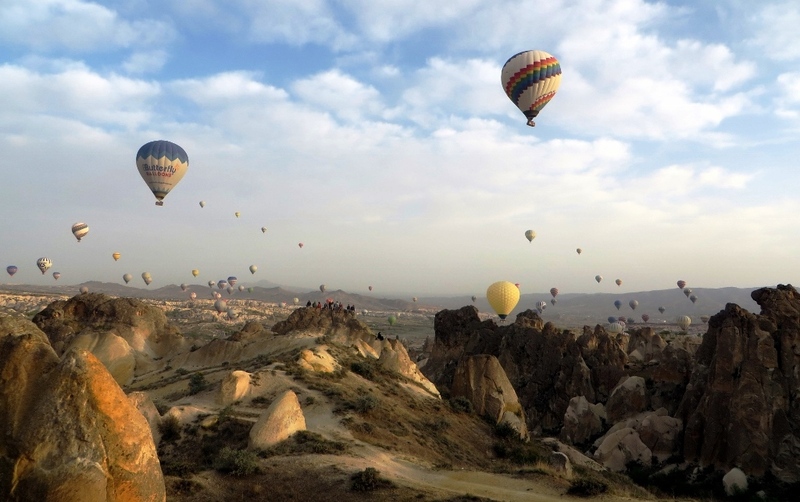 A sunrise hot air balloon flight was how the group chose to start Turkeys’ national day. With 100 balloons taking to the skies the views were virtually indescribable. At times closely shaving the fairy chimneys and other times 500m in the air we spent the hour floating over the different valleys of the Goreme region. With a perfect morning, a perfect take off and a perfect landing something had to go amiss- Sarah Walker has now been christened with a new surname! Too funny! After breakfast we met with our local guide Seville and began our day tour of the area. With our museum pass in hand we visited the various attractions that make Cappadocia famous. We spent the day walking amongst and climbing inside the fairy chimneys and open air museums, visiting an underground city where thousands of people previously lived, tried our hand at making pottery, and enjoyed the stunning views from the various panoramic points in the area. The next two free days were spent walking through the valleys, visiting other museums and churches, wine tasting at the local vineyards, a cultural evening in cave that is now a Turkish restaurant to name but a few. We all took the opportunity to get up early, take a short stroll from our campsite and watch the balloons taking off- a sight almost as incredible as the ballooning itself. Continuing north through the mountains we enjoyed some amazing views on the way to our bushcamp for the evening. Nestled amongst the mountains and on the banks of a river it was the perfect spot to stop for the night. After a lazy breakfast we headed off for our final destination in Turkey, Trabzon and the Black Sea. 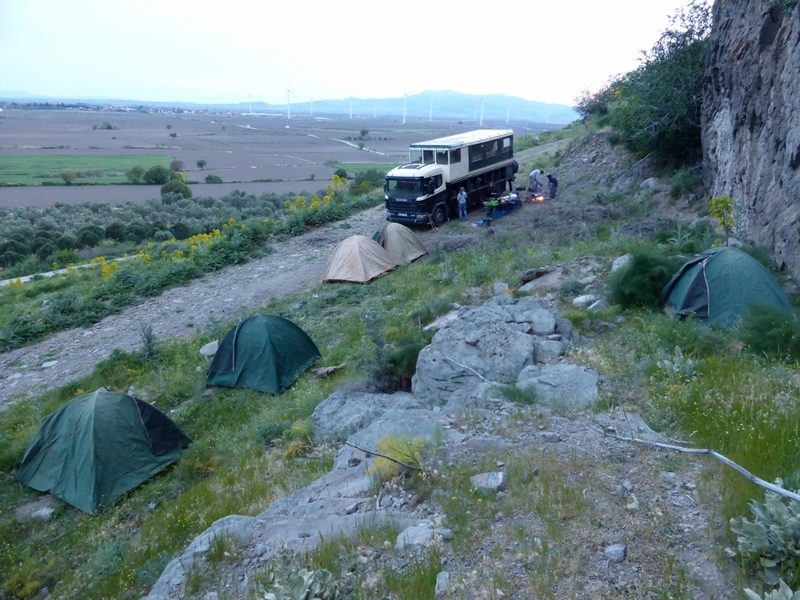 Camping in the hills just outside Trabzon we visited the Sumela Monastery, a Greek orthodox monastery from 386AD. Dedicated to the Virgin Mary the monastery is precariously perched on the side of Mela Mountain in the Pontic mountain range. 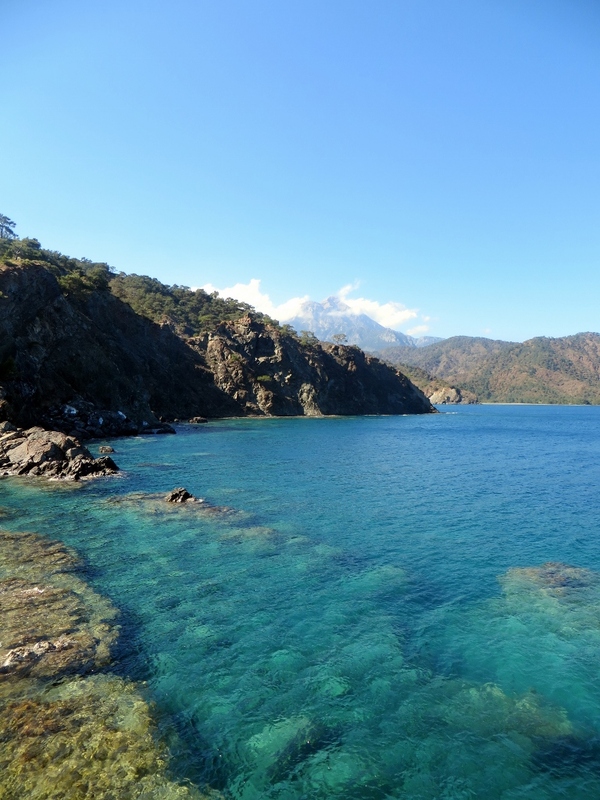 From our camp it was easy to hitch a ride with the friendly locals and head into the big city of Trabzon. Many took the opportunity to relax in a hamam, a traditional Turkish bathhouse while others spent their time walking the streets or in the museums.